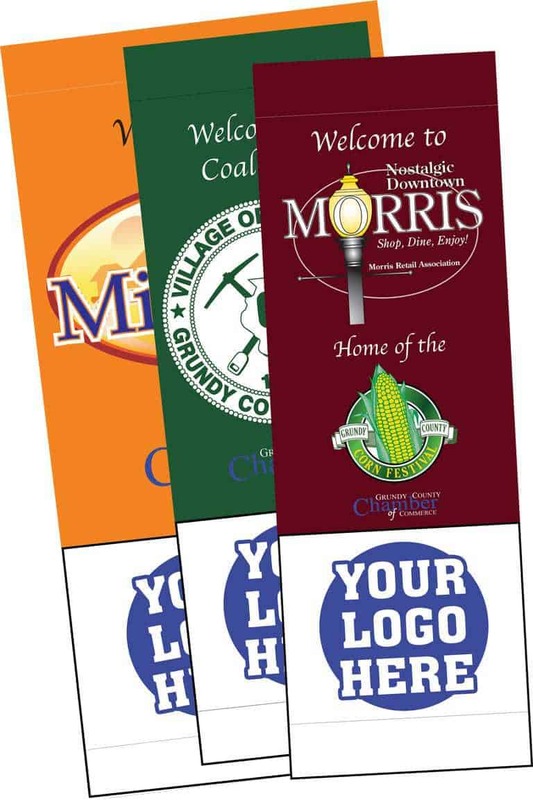 Banners will measure 53" x 18"
Both Chamber members and non-members can participate. Company logo will appear on the bottom portion of the banner. Price includes banner, hardware, installation and maintenance for a 12-month period. Buy a banner for my business today! You've selected multiple cities. Please select "Qty. 2+ @ $230/each". Why not join the Chamber? Become a Chamber member today by clicking here! Do you want your logo or just text printed? I understand that by signing below, I have agreed to the program and art guidelines as stated above. I understand that the banner image or text submitted with this application is subject to minor alterations. I understand that fees paid will cover banner production and sponsorship for a term of one year. I further understand that the Chamber reserves the right to limit the quantity and placement of banners. Banners will measure 60" x 30"